They walk among us. They breathe in the same air that we do. They shop where we shop. Their children play with our children. Each morning they manage to get out of bed without much harm, dress correctly and merge into the populace, all the while talking and smiling, appearing for all the world as balanced, rational human beings. Yet these individuals believe deep down in their hearts that Mesut Ozil is a superior talent to David Silva. That they do so unaccompanied and without due assistance is a damning indictment of an uncaring Tory government. Look at the stats, they cry, should you be foolish enough to suggest on social media that the German playmaker is not the greatest thing since sliced bratwurst. Okay, lets. Since Ozil arrived on our shores in 2013 he has scored 30 goals and made 51 assists in 12,731 Premier League minutes. That’s a damn impressive tally made all the more notable by the fact that last March he reached a half century of assists quicker than anyone ever has before. Just 141 games it took him. An assist every 2.8 games. That borders on the sublime and while we’re being so magnanimous let’s also state the rather obvious and undeniable truth that on his day and on his terms Ozil is a sumptuous player whose influential orchestration has led Arsenal to two FA Cups. Furthermore, when his numbers are weighed up against those of the midfielder nicknamed ‘Merlin’ by the blue half of Manchester they are comparable enough to warrant a debate on paper at least. In the six years Ozil has plied his trade in England, David Silva has played 214 minutes less but scored five goals more. He has however directly created four goals fewer. In short, there is not a lot in it. Both players are World Cup winners; both are slight of physique but abundant with ingenuity; and both arrived to the Premier League from La Liga. Given their similar positions, complimentary playing style, and their respective importance to top six sides is it any wonder then that a discussion took root as to which of them was better? Yes, it is a wonder; in fact it’s bizarre because the debate that began in earnest in 2013 and peaked in 2016 (coinciding on both occasions with Ozil’s two most productive years in an Arsenal jersey) always paired a 5ft 7 giant to a pygmy by his standards and subsequently the debate died soon after. It’s done and dusted. The results came in and boy were they conclusive. And the only reason it’s briefly being resurrected here is because Ozil recently had a really impactful game and when that rare event occurs what inevitably follows is Arenal supporters flooding Twitter to proclaim their four-times-a-season genius to be Silva’s better. And they come bearing stats. Firstly it is frankly disrespectful to compare the two. 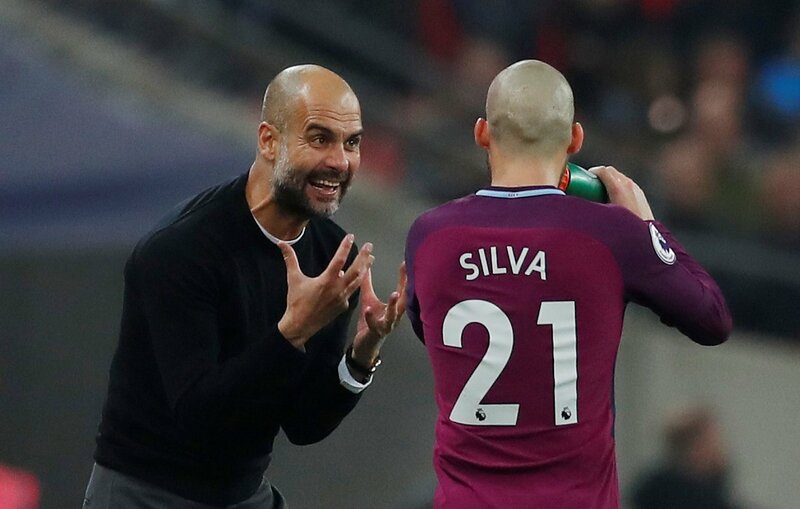 Because in the forty-five or so games where Ozil is not displaying the very best of himself – where he is often anonymous to the extent that you forget that he’s even on the pitch – David Silva is being immense. Every time. Every game. Every week. The little magician has single-handedly raised the bar. He is consistently the puppet-master for one of the greatest teams to ever grace a domestic football field. He is everything to a blueprint that will go down in history. “Mesut Ozil turns games but David Silva runs games” – that’s how Jamie Carragher put it in January 2016 and even that is being generous to the former. Ozil turns games when he’s in the mood and when every condition – from the weather to the opposition to how his day has gone so far – is in his favour. Through his artistic endeavour Silva creates the game from a blank canvas. Then he runs it. But what about the stats? Well, exactly; what about them? In this era we have become so beholden to figures yet at its heart statistical data has a contradiction that renders it moot in that it’s a modern phenomenon that celebrates an anachronism. Long gone now are the days when a player’s singular attributes are enough to see them lauded. The twenty goal a season striker now warms benches unless he also holds the ball up well and presses like a demon. Similarly an ‘assist king’ is a limited commodity in the convoluted football that we see today. A creative midfielder must also dictate, compete, and most of all elevate the performances of those around him. Being great at one thing no longer cuts it. Being great at one thing makes you a passenger in a game that needs eleven men at the wheel. 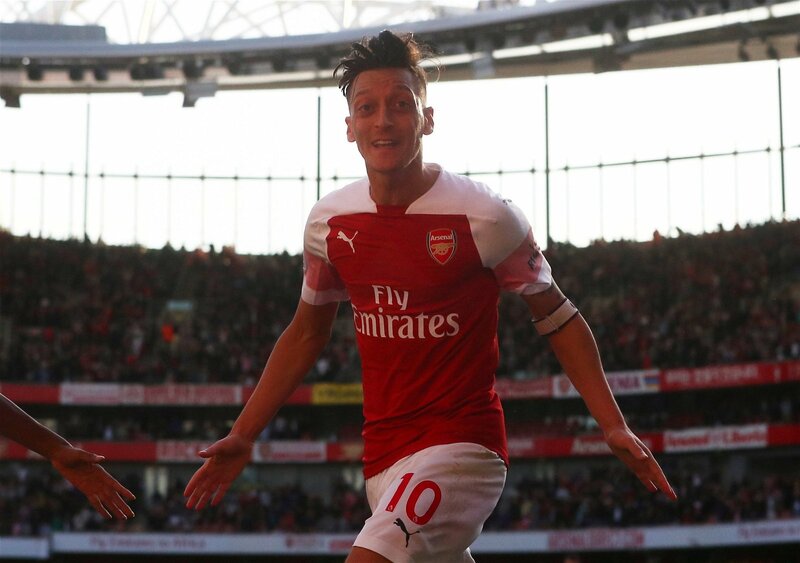 This weekend Arsenal host Liverpool and there is a one in four chance that Mesut Ozil will come out to play and be brilliant. This weekend Manchester City take on Southampton and David Silva will be brilliant. That’s the difference, and that difference is everything.